Downsizing - 4K UHD Review - ReDVDit! 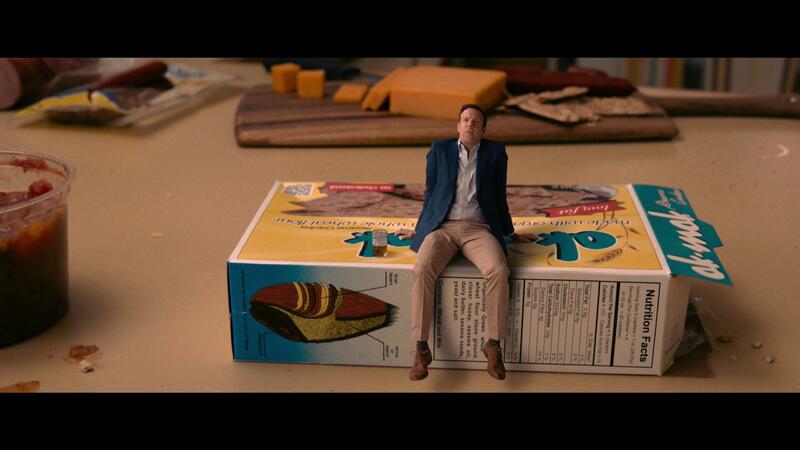 Downsizing is a 2017 American science fiction comedy-drama film that was directed by Alexander Payne, and written by Payne and Jim Taylor. The film stars Matt Damon, Christoph Waltz, Hong Chau, and Kristen Wiig and tells the story ofd a couple who decide to undertake a newly-invented procedure to shrink their bodies so they can start a new life within an experimental community. When the wife refuses to take part in the procedure at the last minute, the husband has to reassess his life and choices before befriending an impoverished activist. Principal photography on the film began in Ontario, Canada on April 1, 2016. Making its initial premiere at the 74th Venice International Film Festival on August 30, 2017, the film was theatrically released in the United States by Paramount Pictures on December 22, 2017. The film was considered to be a box office bomb as it ended up grossing just $53 million against its $68 million operating budget and received praise from reviewers for its cast and premise. It also received heavy criticism for its execution and failure to deliver on ideas given the subject matter. It was also chosen by the National Board of Review as one of the top ten films of 2017, while Chau earned a nomination for Best Supporting Actress at the 75th Golden Globe Awards. 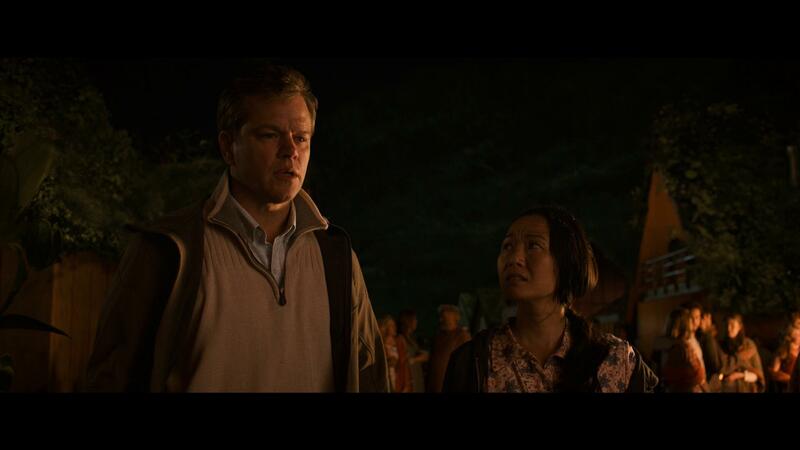 Downsizing was a film that was I was really looking forward to explore. After seeing how much hate it got after its theatrical release, I wanted to see what the issue was. After sitting down with my wife to watch this the other night, I can completely understand why there was a lot of negative feedback. The entire premise of the film revolves round the fact that these people are shrunk down to be roughly five-inches tall, and while there’s a good chunk of the film dedicated to this fact, they really could have played more into it. Whether it be in a comical sense, or placing more emphasis on the difference between those who have been downsized and those or not, there was a lot of room for improvement that could have been used. 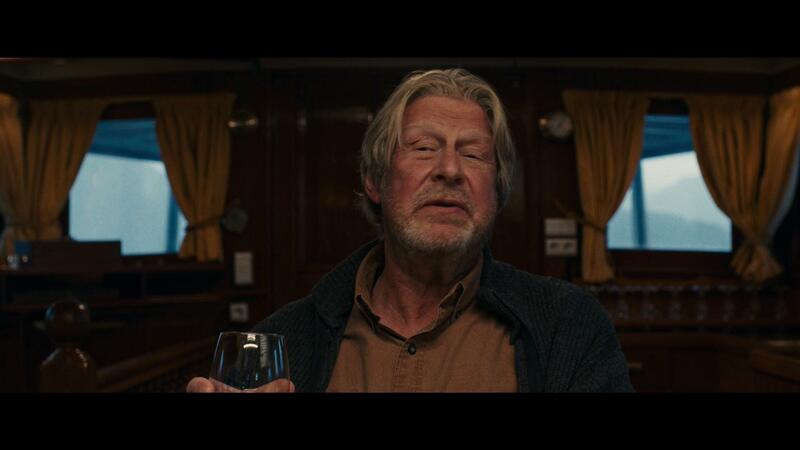 That said, Downsizing was not a horrible film by any means. The story places a lot of focus on the shift in life that Damon’s character goes through after being downsized; as he makes himself known within his new community and befriends many, it had a good storyline that I found myself to be semi-satisfied with the ending. 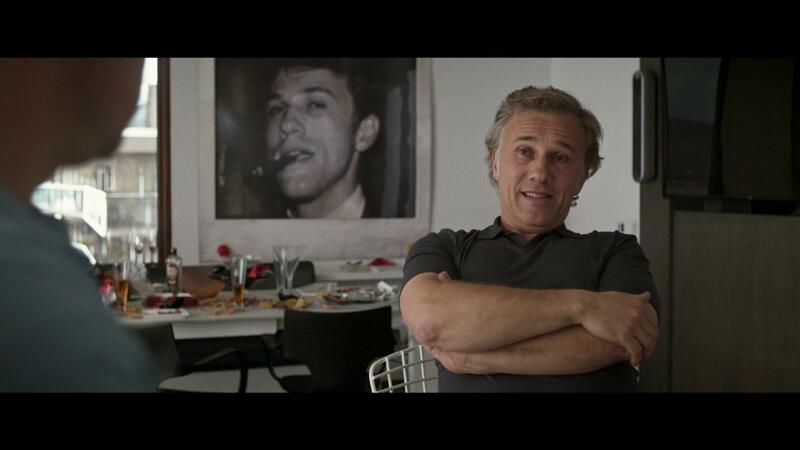 For the majority of Downsizing, the overall picture looked a tad dark. Given that this is a “fake 4K” release as it’s an upscaled 4K disc, the inclusion of HDR really didn’t help the majority of the film. The scenes that do take place outdoors looked really damn good with their vibrant color presentation, however there’s a lot of this film that was shot indoors. One of the more notable sequences that played out with this movie was when Damon’s character and a few of his colleagues from within the downsized community travel to Norway. The scenes that were shot from the boat that they traveled upon were absolutely breathtaking and were the most unique piece from the visual presentation. Packaged with a DTS-HD Master Audio 7.1 audio track, Downsizing does everything that it can within its power to offer an immersive experience for its viewers. As the movie progresses, there really isn’t much of a need or calling for the elevation aspect that’s become relevant over the past couple of years; and the overall presentation was considerably clean. Dialogue was clean and clear and easily understandable without having to manually adjust the volume levels. 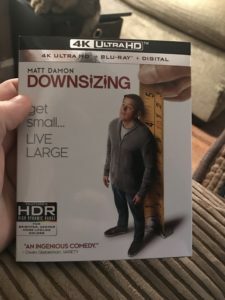 The 4K UHD release of Downsizing comes packaged in your standard dual-disc 4K UHD amaray case. Within that case is the standard 4K UHD copy of the film as well as the standard Blu-ray copy. Neither of the discs feature any artwork whatsoever outside of the standard release text and blue or black background respectively. 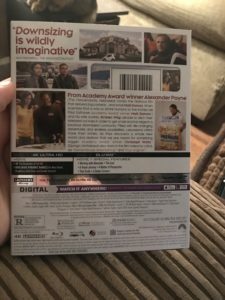 A digital copy redemption pamphlet has been included for digital streaming as well as a slipcover that features the same piece of artwork that’s been made available on the amaray case. 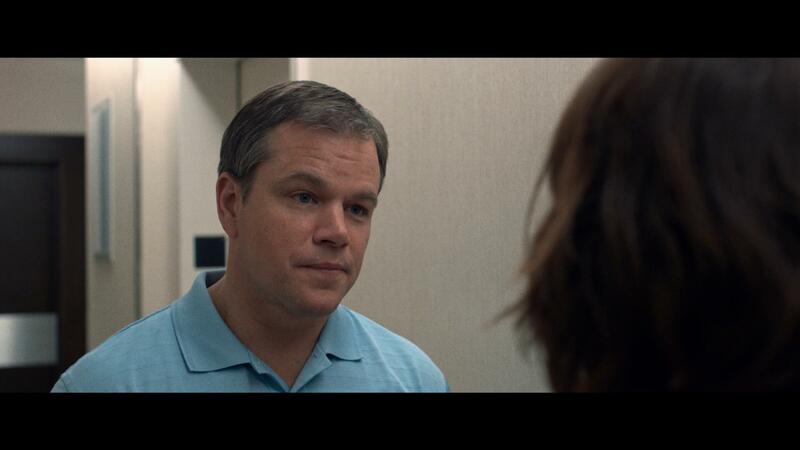 Would Downsizing be a film that I would have picked up on my own? Maybe if I had gotten it on sale. The storyline, while it had an interesting concept, failed to deliver on a lot of potential that it had. The visual presentation, while a little on the darker side visually, was nicely done; and the included audio track was more than sufficient for this movie. The special features, they definitely do a great job at offering a behind the scenes view, but I feel that there could have been more content that allowed for a deeper look into the story at hand. Downsizing will be available on 4K UHD, Blu-ray and DVD beginning Tuesday, March 20, 2018.